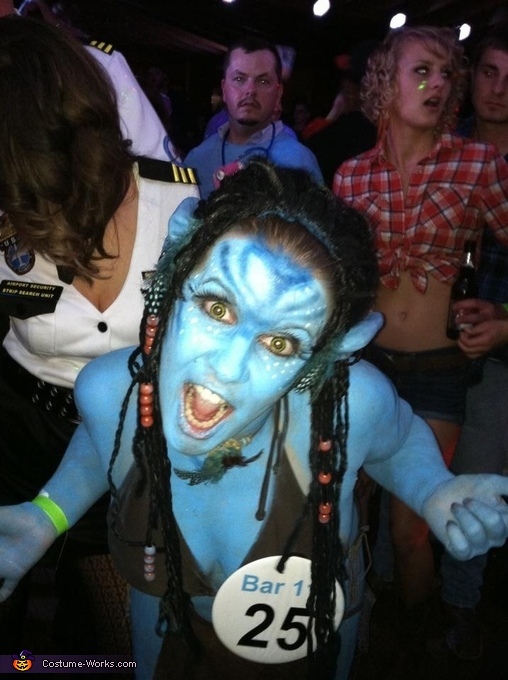 I used body paint for my costume and bought the deluxe Avatar wig. I made my own accessories with feathers, beads, scrape pieces of leather and rope. I also bought a pair of yellow contact lenses. It took a little over 4 hours for the body painting.